Why is it that there are an increasing number of preachers who get up on a platform and for forty minutes to an hour they speak a bunch of clichés? 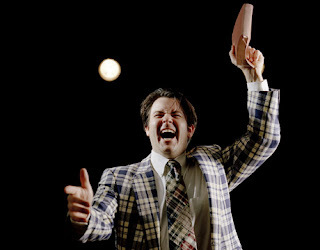 Preachers have these “catch phrases” or “catch sermons” that are popular, but that are extremely overused. As a young person who has grown up in this doctrine all my life, and as a preacher’s kid, I know first-hand what is original in a sermon, and what is unoriginal. It is not my intention to offend anybody reading this by alluding that we need to forget about the things that define us as Apostolics; this is not what I am suggesting. What I feel is that sometimes preachers get lazy and exclusively say the things that excite and “rile up” the audience. They use cheap techniques such as erratic hand movements and screaming to intensify their point. I’m not saying these things are bad, but I would like to propose that this goes on too much. There seems to be a lack of preachers who have a clear, precise, and original sermon. There is nothing wrong with getting excited, but I put more value on the content of a message than the excite factor. There is a high “turnover rate” in the church, and I think the existence of too many emotional decisions highly contributes to this fact. A lot of times people (especially youth) make cheap commitments and promises to God that will not last because in a sense they are being emotionally manipulated. People rush to the altar after a fiery message, and will do just about anything due to their emotional state. I would to estimate that about 90% of these people leave the service unchanged. I’m not suggesting that they got nothing out of the service, but they do not have any grounding on what was spoken to them. Words are cheap, but words that produce action are priceless. You may say, “But yelling is the best technique to motivate towards action.” In a sense this is true, but let me ask you a question: are you trying to motivate them towards action only at that precise moment, or do you want more long term results from your attempt to motivate? Motivation is not simply hype. Motivation is not a pep-talk. Motivation is a highly misunderstood concept. Being pumped up is not motivation, it is temporary stimulation. Motivation means having enough desire to attain something, having the real belief that you can accomplish it, and having a clear mental picture of yourself achieving it. I feel that not enough preachers provide their audience with this “clear mental picture.” They turn to hype and temporary stimulation because they feel like they have accomplished something if everyone is jumping around. True action comes from within, and it is not something that can be forced on a person. I think the days of unoriginality need to end. People are desperate for something with consistency. People need something other than words and catch phrases that cause them to impulsively clap their hands or run to an altar. The Bible is so rich with truths that are imperative to salvation. Use these truths to create something original and beautiful that does not totally rely on hype as a means to deliver a point. Create something genuine and contemplative. This is what our generation needs.